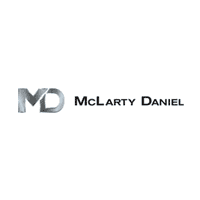 The McLarty Daniel Advantage is a 7 year, 200,000 mile warranty on pre-owned vehicles sold at any McLarty Daniel Chrysler Dodge Jeep RAM FIAT of Springdale dealership in Northwest Arkansas! Buy with us and get peace of mind at no additional cost to you. As long as you continue performing the manufacturer-recommended service, you’ll continue to be protected — all at NO COST and with NO CATCH! Have a question about the McLarty Daniel Advantage? Stop by today or give us a call at (479) 845-9100.